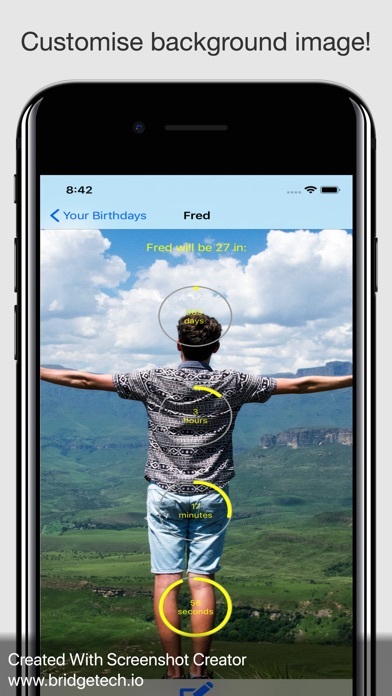 Birthday Countdown Manager - App - App Rediscovered! 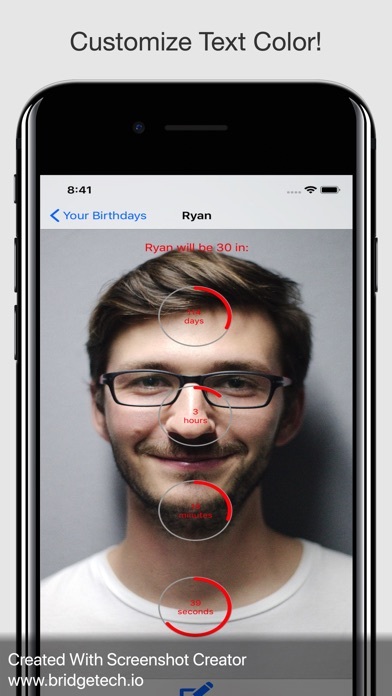 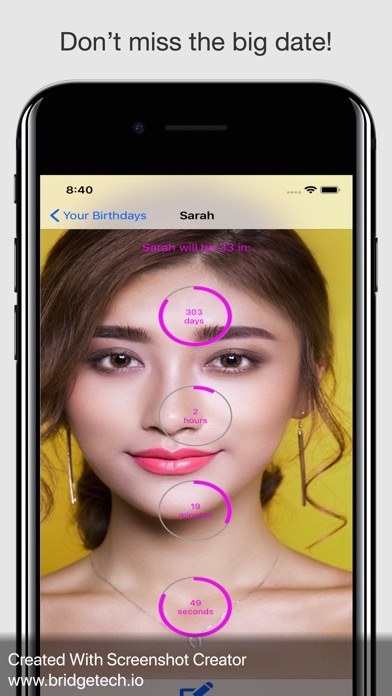 Count down the days, hours, minutes, and seconds to your birthday with this app that will give you an exact time until your special day! 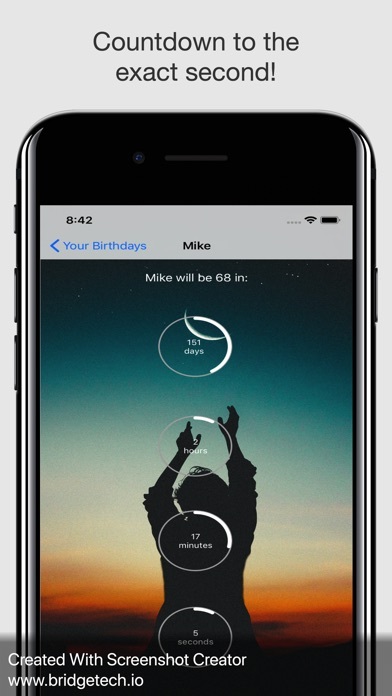 Also customize the countdown by setting your own image in the background, and change the text color to suit. 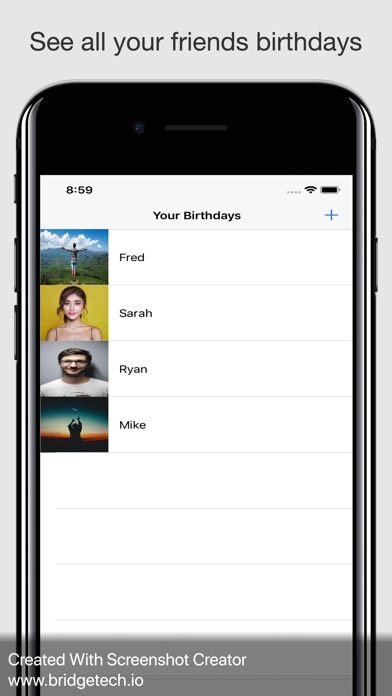 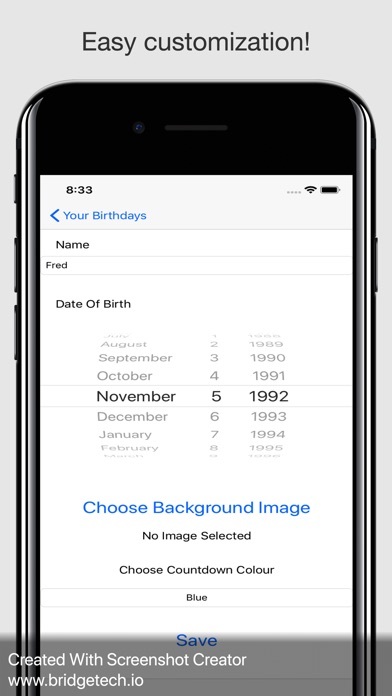 Track as many birthdays as you want.